Getting kids to eat healthily can be an exercise in frustration and the source of much family discord. Many kids are picky eaters, to begin with, and plopping them down in front of a plate of broccoli is unlikely to turn them into vegetable fans. 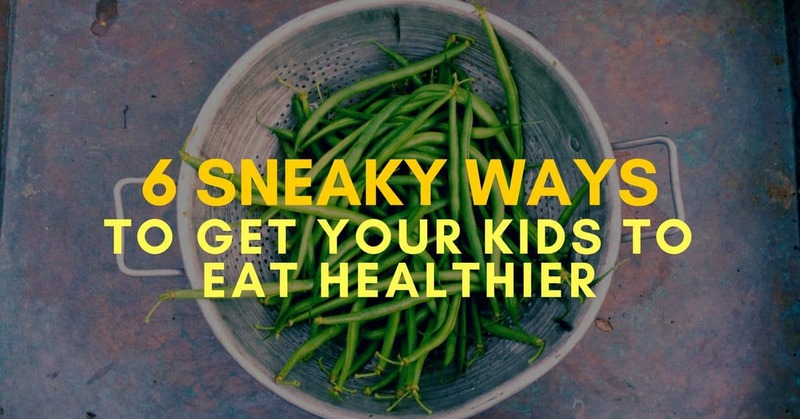 If you want your kids to eat healthier, you need to be a bit creative. Some may even say that turning young junk food fanatics into avid health food fans requires a bit of sneakiness, but in the end, the results will be well worth the effort. Kids who develop healthy eating habits early in life are less likely to suffer from obesity later, and the rates of chronic illness are lower as well. If your kids are still turning up their noses at lima beans, spinach, and other healthy ingredients, here are some tips for turning the tide. 1. Add tiny bits of vegetables to your sauces and dressings. Grab your blender or food processor and incorporate bits of broccoli, spinach, kale, and other healthy greens into homemade or jarred pasta sauces and other staples. 2. Swap traditional pasta for vegetable-based alternatives. Your kids will love the vibrant colors, and you will enjoy the fact that they are finally eating their veggies. 3. Make vegetable-infused meatloaf and hamburgers. Few kids will turn down a hamburger, but you can make yours healthier with a bit of trickery. Just puree a handful of healthy vegetables in your food processor and work it into the ground beef as you make your patties. You can use this same technique for homemade meatloaf and meatballs as well. 4. Prepare fruit snacks. Processed fruit snacks are portable, delicious, and fun to eat, but they are loaded with added sugar, preservatives, and other harmful ingredients. Invest in a food dehydrator and make your own healthy fruit snacks for a fraction of the cost of the store-bought ones. 5. Make fruit and veggie pops. When the weather heats up, your kids will be longing for a cool treat. Be ready with homemade fruit and veggie pops – puree fruits and vegetables and freeze them into popsicles. 6. Pack lunchboxes with kid-friendly fruits. Those little oranges and tangerines in kid-friendly sizes are always a hit, so include plenty of them when you pack their school lunches. Baby carrots and sliced apples with dipping sauces are other healthy lunchbox staples.